Owning a dog with a curly coat means less shedding but it also means your furry friend is prone to mats and tangles. Besides those knots being unsightly, they can also trap bacteria which causes skin irritation and sores. Curly haired dogs tend to collect dirt and debris in their coats making areas around the face and rear smelly as well as unsanitary. Keeping your dog brushed and free of debris and tangles means less trips to the groomer and more money in your pocket. The key to keeping your curly haired dog mat-free is having the right tools. 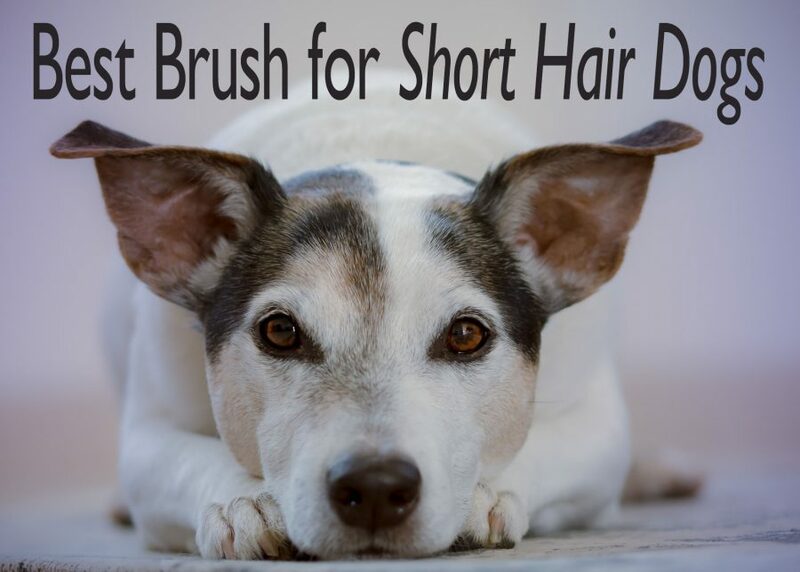 For the best results and to keep from having to shave your dog down, you will want a brush specifically made for curly haired dogs. Fortunately, we researched and tested a handful of dog brushes to determine which ones work best for curly coats. 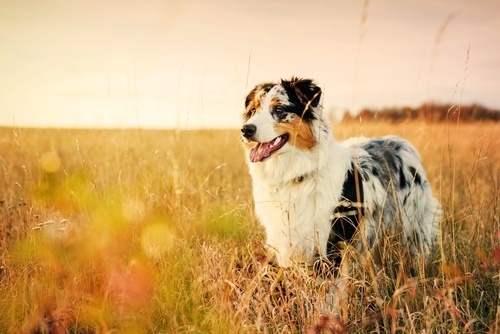 Dogs with this coat type maybe considered curly haired, but the amount and tightness of the curl can vary depending on the breed of the dog. Dogs with curly coats are considered no to low shedding, but are not necessarily easy to maintain. As mentioned, dirt and debris can get caught in the coat, only to remain there until brushed or washed out. Breeds like Poodles and Bicho Frise are some of the more popular curly haired dogs. 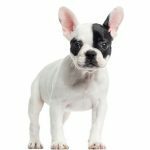 Welsh terrier, Airedale terriers, Portuguese water dogs, and American water spaniel are just a few others. A boar bristle brush is made to move easily through thick, textured and curly coats to smooth the hair. This results in a natural, shiny and healthy coat that is free of tangles and mats. It helps to distribute natural oils while exfoliating the skin and stimulating circulation of the hair follicles. Slicker brushes have fine, rounded wires that are close together on a flat surface. 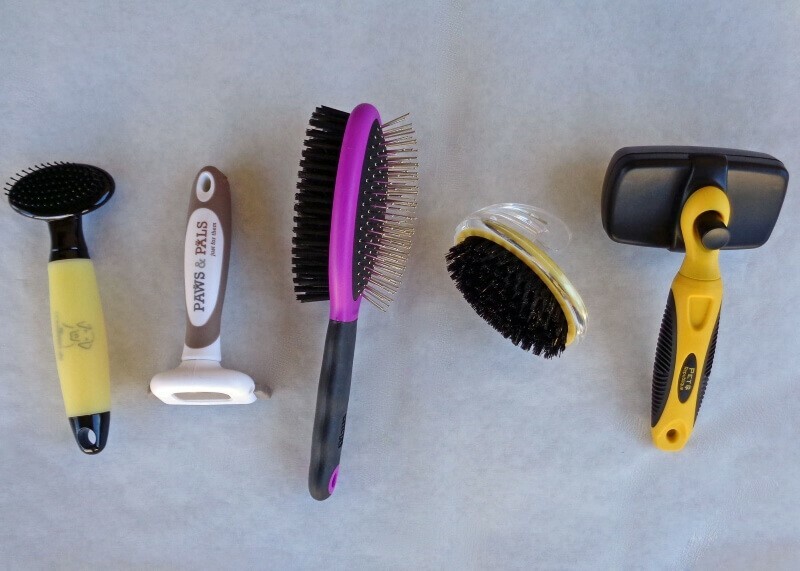 This type of brush works with all coat types to remove loose fur and help de-tangle. A lot like the slicker brush, pin brushes are made to penetrate thick and longer coat types. They can be made of plastic, rubber, metal and bamboo. Pin brushes look similar to brushes commonly used by people. Do not be fooled by the name, this brush is really just a comb with small, harmless teeth. It is useful on almost every coat type in removing loose hair. 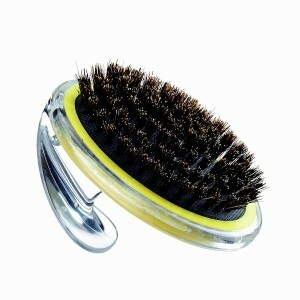 This slicker brush is made with fine and flexible wire bristles, and is great for helping to remove knots and matting. The slicker brush can also be used for smoothing the coat after grooming with a pin brush. The ergonomic, rubber handle and heavy plastic material makes it very durable. 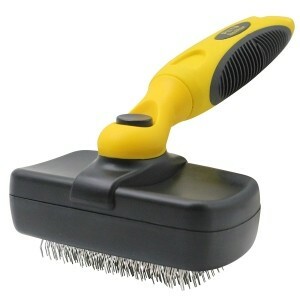 This brush can be used on dogs and cats and has a self-cleaning one-push button feature, making clean up a breeze. 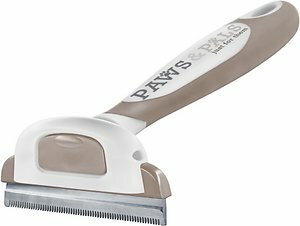 The Paws & Pals de-shedding and grooming brush features a sturdy stainless steel brush head gets the loose hair from your dogs’s topcoat and undercoat. This tool works great for curly coats, especially after a brushing has occurred. The rubber comfort grip handle is designed to fit easily in your hand for maximum control while using. It does have a release button for removing the brush head for cleaning purposes. The handheld Boar Bristle Brush features 50% natural boar and 50% synthetic bristles that move easily through short and curly coats. 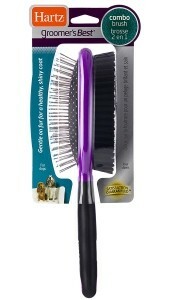 Use the Boar Bristle Brush to smooth and distribute oils in your dogs hair healthy looking coat. This brush features a hand held grip so that your fingers can hold the brush comfortably in the palm of your hand. The Conair Small Soft Slicker Brush safely and effectively penetrates your dogs coat to prevent tangles and mats. The tips are designed to be gentle and will not harm your dogs sensitive skin. 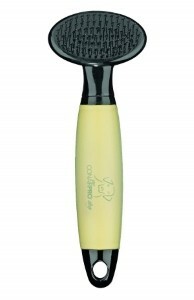 This brush is great for use around the face and paws and underarm areas. The gel-grip handle offers maximum control and comfort with its soft, non-slip grip. The Hartz Groomer’s Best Combo Brush was developed for groomers for all types of dog coats. One side has fine stainless steel tips that effectively and gently grab loose hair and excess fur, while de-tangling and removing mats. The reverse bristle side helps to distribute natural oils to keep your dog’s coat healthy and shiny. The handle is rubber coated with an ergonomic grip to make brushing all types of coats easy. Two inches is the general recommended length for a curly-hair dog’s coat. Any longer than that could mean your dogs hair is at risk of excess dust, dirt and debris. Brushing your dog daily will keep his coat clean and prevent mats from developing. Knots and tangles are easily avoided with regular grooming, especially around the ears, in the armpits, or along the back of the legs. Brushing a curly haired dog is much more challenging than brushing a straight-coat dog. 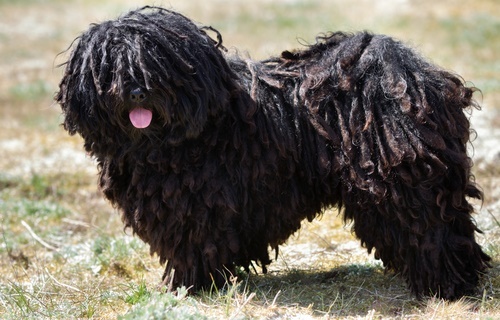 Dogs with curly coats, usually have thick and soft curls close to the body and removing mats can be difficult, especially if you have a dog who will not stand still. Sensitive dogs will not be happy if you are pulling on their coats, and may refuse to cooperate. This can be alleviated by offering treats and working in small sections. Curly coats can be trimmed regularly to keep the coat at a length you are willing to maintain. Although you can learn to trim your dogs hair, most owners rely on professional groomer for trims. 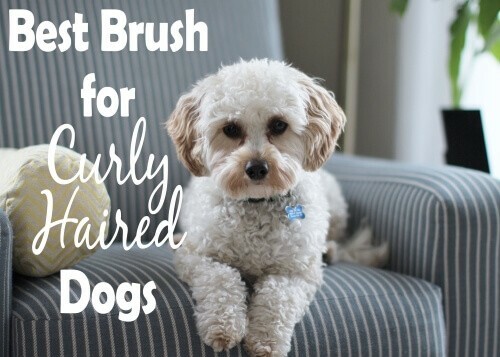 Curly-haired dog should be brushed at least once a day which means you need to have a brush or two on hand. This is mainly to keep their hair from forming knots and tangles, as well as keeping it soft. And while a dog with curly hair may seem like high maintenance, they shed little, if at all, which means less cleaning up around the house. Amy Brown is a lifelong animal enthusiast who enjoys writing about dogs and rescuing them. She writes for various pet related websites, including her own, CatMania.net.